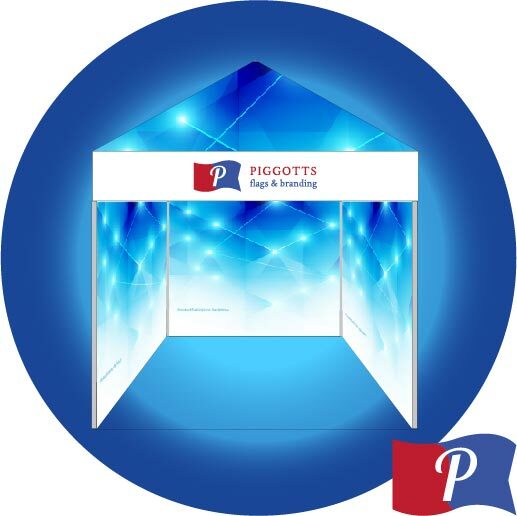 The display tent itself is part of our “Event Bundle” but can also be bought separately. The tent is 300cm x 300cm and comes with three printed walls. The tent roof and sides are printed to waterproof Poltent PVC 330g. The tent comes with frame, customised top, walls, spikes & rope. It’s easy to assemble and comes complete with trolley bag and is a great option for a brand display purpose.